David is currently studying his A levels at Aylesbury Grammar School. He has also been awarded a place on the MSA Young Drivers Academy; studying an advanced apprenticeship in sporting excellence at Loughborough university. 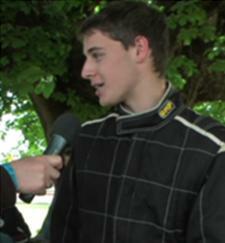 David is from a non-motorsport background, however with Simon's guidance he is now showing great potential. 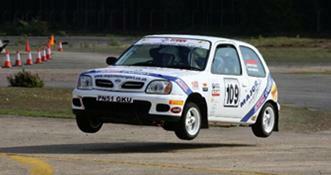 David started competing in the Junior 1000 Rally Championship in 2010, as his competitive drive increased Major Motorsport built a new Nissan Micra for David, which has helped him move up his championship leader board. He set several fastest stage times in 2011. 2012 is David's last year in the Junior Championship, and he hopes to make it a good one, aiming for a podium result in every rally he enters this year. With Major Motorsport's help he is a serious contender for this years championship. Click here to view David's own website.